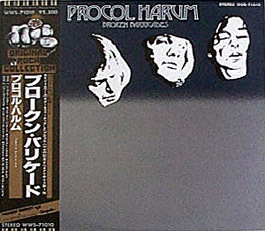 Procol Harum is a commune, a workshop, a whatever, five musicians and one poet-in-residence, who have survived England's pop explosion - an explosion which left in its wake a number of ephemeral successes. 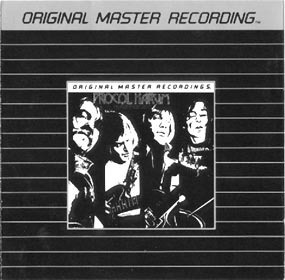 They are five young and somewhat elusive Englishmen; Gary Brooker - vocal/piano, Robin Trower - guitar, David Knights [sic] - bass. BJ Wilson - drums, and Keith Reid - lyricist. 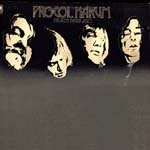 Their name, Procol Harum, was taken from a Burmese cat which belonged to a friend of Reid's. 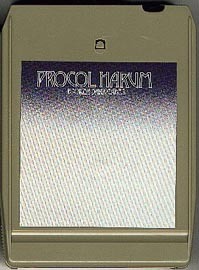 Latin in origin, Procol Harum defies translation. However the cat, according to Brooker, 'has magical properties, is an uncanny cat: no-one has been able to take his picture.' The men have one common denominator: they are all self-made, self-dependent men whose backgrounds include such various activities as window-cleaner, construction labourer, asbestos sprayer's assistant and coffee-shop manager. They consider that they are 'riddled with musical influences' and yet they will not define their music, for they believe it speaks for itself. 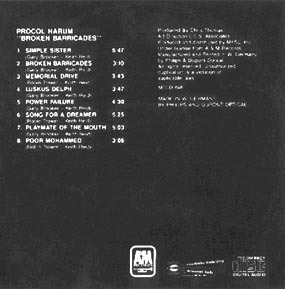 Reid claims that his major lyrical influences came out of the slums of London and he denies there is any sociological or socio-economic entity to the group. They shun all labels other than that they are 'self-dependent'. What is the meaning of Luskus Delph?